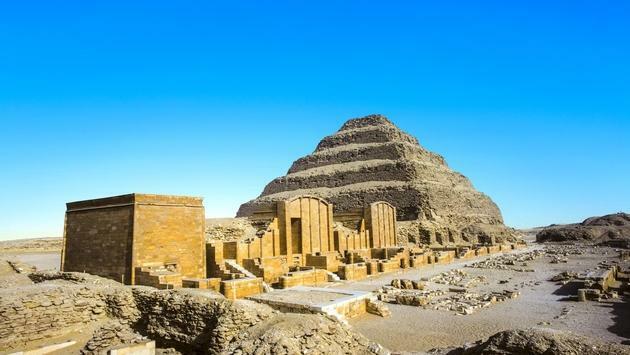 Even the world’s largest library does not contain all the hidden aspects of the world’s history as one such new discovery in Egypt proves. A 4,400-year-old tomb was discovered south of Cairo in Saqqara and contains “exceptionally well-preserved” drawings. Antiquities Minister Khaled al-Anani explained that the tomb dates to the 5th dynasty of the pharaohs and belonged to Wahtye, a royal purification priest. The inscriptions on his tomb suggest that he served under King Nefer-Ir-Ka-Re as the king’s supervisor and inspector of the holy boat. Colorful scenes of Wahtye with his family, wife, and mother, drawings of wine and pottery making, sailing, hunting, musical performances, and the manufacturing of funeral furniture were depicted throughout the tomb. The tomb was discovered in November, but it took time to enter the tomb as the doors were sealed. Once inside, archeologists found colored statues carved in rock. The tomb measures 33 feet long and 10 feet wide and contains a basement and five burial shafts which will be further excavated. The discovery of this tomb follows a rare find of mummified scarab beetles and mummified animals at Saqqara in November.